«Two men were standing behind the grave and were holding a tombstone between them in the air; scarcely had K. arrived when they thrust the stone into the earth and it stood as if cemented there» («A Dream»). Welcome to the Kafka Project. The Project was started in 1998 with the purpose of publishing online all Kafka texts in German, according to the manuscripts. The project is constantly under construction. This multilingual page is also intended to give scholars and Kafka fans a virtual forum to share opinions, essays and translations. Every detail of Kafka's world will find its place in this site, which aims to become the central hub for all Kafka-interested users. Most of the stuff is available through the navigation bar on your left. Please note that you can get a printer-friendly version like this at any time by clicking on the print command at the page bottom. The Project page introduces you to the corpus of all Kafka works in German, according to the original manuscripts. Some texts have copyright-free translations into English and other languages. A biographical sketch and a commented list of all works are available for a quick consultation. Through the manuscript page you can experience the concreteness of Kafka's writing in a chapter of The Trial. With the general bibliography (under construction) you enter the commentary part of the site; new articles and essays are announced in the home page, and collected in a dedicated part of the site. Newly published books about Kafka are presented in a separate section. Our huge archive includes all past articles and recommended books, and all essays grouped according to the work they refer to. You can contact the team of the Kafka Project through the contact page, or simply drop a line in the guestbook; a search engine helps you to retrive a word or a quote from Kafka's work or from the entire site. And last but not least, do not miss the help page if you are only looking for a hint in order to get that Kafka paper written! This autumn, the Barbican Centre is hosting Peter Sellars’ production of Kurtag’s Kafka Fragments on 11 November. Fragments taken from Franz Kafka’s letters and diaries have been set for violin and soprano by Hungarian composer Gyorgy Kurtag, and are performed by soprano Dawn Upshaw and violinist Geoff Nuttall against a backdrop photographic images by David Michalek. The result is an electric and poignant performance of intense musical and visual collaboration. You can find more information about the event here. A new translation into English of Der Verschollene (a.k.a. America). Thanks to Jeff Nowak for the wonderful effort! The International Trial Bibliography is initiated. Give your contribution to its completing! and a lot more in our huge archive! We constantly look for high-quality and copyright-free essays or translations of Kafka's works, especially in/into English. If you have translations or essays of your own, please contact us for submission! 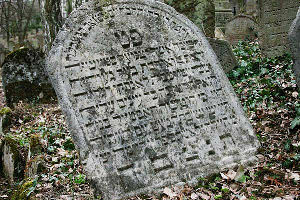 Which was the family name of Kafka's mother before she got married to Hermann Kafka? Give here your answer! You win nothing, but you will be cited in the next update (if you do not answer anonymously). Visit the Hall of Fame! Recently published Kafka books are presented here if a copy is sent to the webmaster for evaluation. Ask for details! 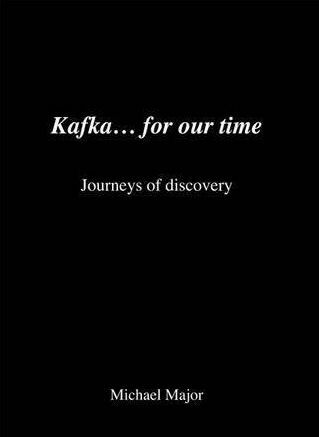 The book consists of thought provoking interpretations of 24 Kafka short stories, based around entirely new and modern translations. Franz Kafka's writings have long been analysed and debated in the academic world, in search of a definitive meaning, through a plethora of interpretations. This, along with the complex nature of the works themselves, have made Kafka's literature mostly the realm of the academic Intelligentsia and consequently somewhat intellectually intimidating and inaccessible to the general public. Michael Major breaks through this invisible daunting barrier and offers the common Man access to Kafka, presenting fresh insights into a selection of short stories, inviting the readers to explore their own interpretations, based upon their own personal social experience and cultural background, free from the burden of any prescribed academic school of thought. Michael Major's original book stems from his own particular experience. For most of his life he had been unaware of Franz Kafka's literature, much less its literary significance or the high regard it commands. His introduction to Kafka came purely by chance, when a friend outlined one of Kafka's more notable works, ''Before the Law''... and from that moment Michael was drawn into the intrigue of his style. Kafka's mysterious and somewhat confusing prose forced him to contemplate the story and its relevance not only to the characters within, but also to Kafka's life and his own life. By conceptualising, designing, self-publishing his book, Michael Major sets an example as to how a person can create a worthy cultural piece of work, from inception to completion, all by himself; and he offers hope to a wide range of readers, of any age and background, that high culture is not only the domain of society's cultural elite; it could rather be explored and enjoyed by everyone. Walter Benjamin – philosopher, essayist, literary and cultural theorist – was one of the most original writers and thinkers of the twentieth century. 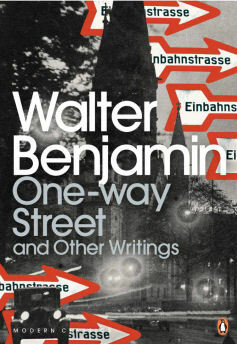 This selection brings together Benjamin’s major works, including ‘One-way Street’, a series of aphoristic observations prompted by urban life in 1920s Europe; ‘Unpacking My Library’, a delightful meditation on book-collecting; the confessional ‘Hashish in Marseille’; and ‘The Work of Art in the Age of Mechanical Reproduction’, his seminal essay on how technology changes the way we appreciate art. Also including writings on subjects ranging from Proust to Kafka, violence to surrealism, this is the essential volume on one of the most prescient critical voices of the modern age. ‘On the Critique of Violence’, ‘The Task of the Translator’, ‘One-way Street’, ‘Hashish in Marseille’, ‘Picturing Proust’, ‘Surrealism’, ‘Unpacking my Library’, ‘Brief History of Photography’, ‘Franz Kafka’ and ‘The Work of Art in the Age of Mechanical Reproduction’.